Happy New Year! Hope your first week of 2018 has been going well. Did you know yesterday was National Spaghetti Day? 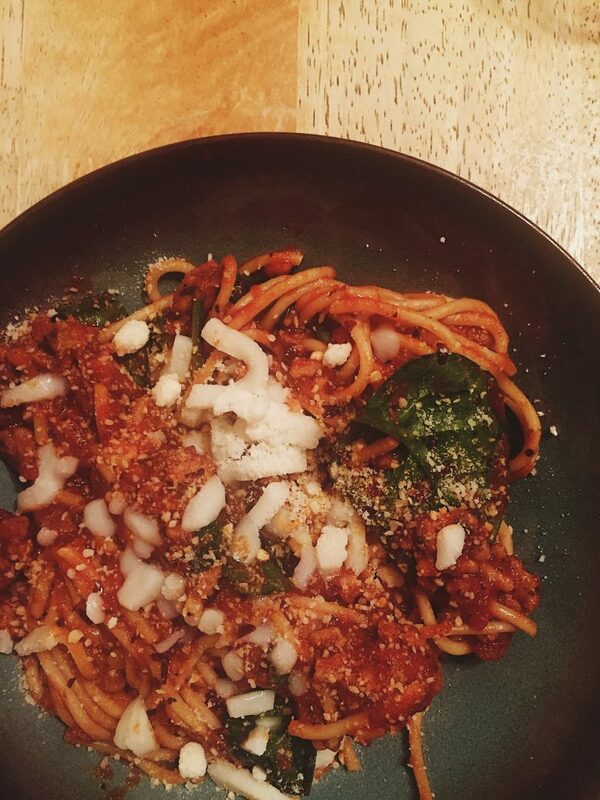 Let me tell ya, spaghetti and meatballs is my favorite meal – comfort food at its best! So this made sense to celebrate. But check this out – I didn’t know what to have for dinner last night. It was too cold to go outside and buy anything; but wising up, I remembered what I had in stock. 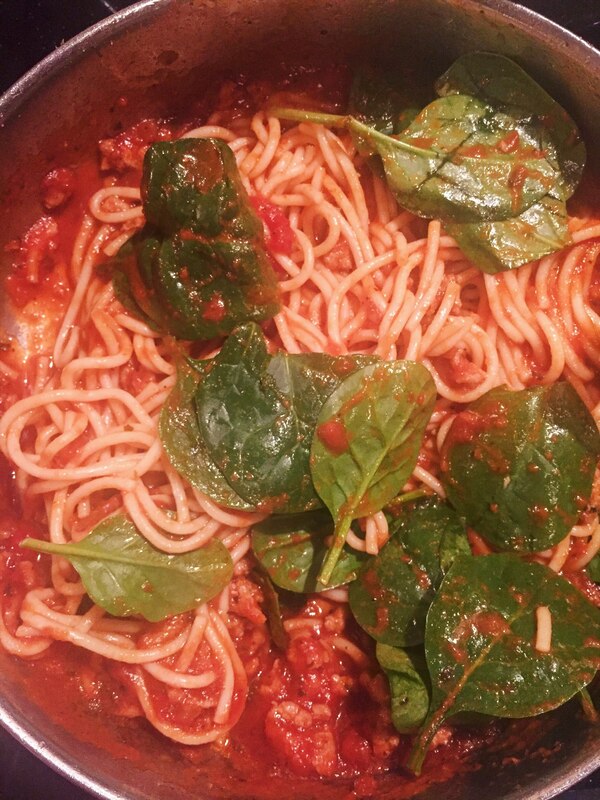 After googling some cool recipes that used meat and spinach, I decided to make a meat sauce to use with pasta that my mom cooked up earlier. I let it simmer for 2 minutes, before adding the spaghetti, letting the sauce soak in. Finally, once I was satisfied, I topped it with my spinach. Using my spatula, I folding the combination a few times, allowing the spinach wilt. From start to finish, it took approximately 15 minutes. It will take more time if you have to boil your pasta. I sprinkled some red pepper flakes for a little kick. 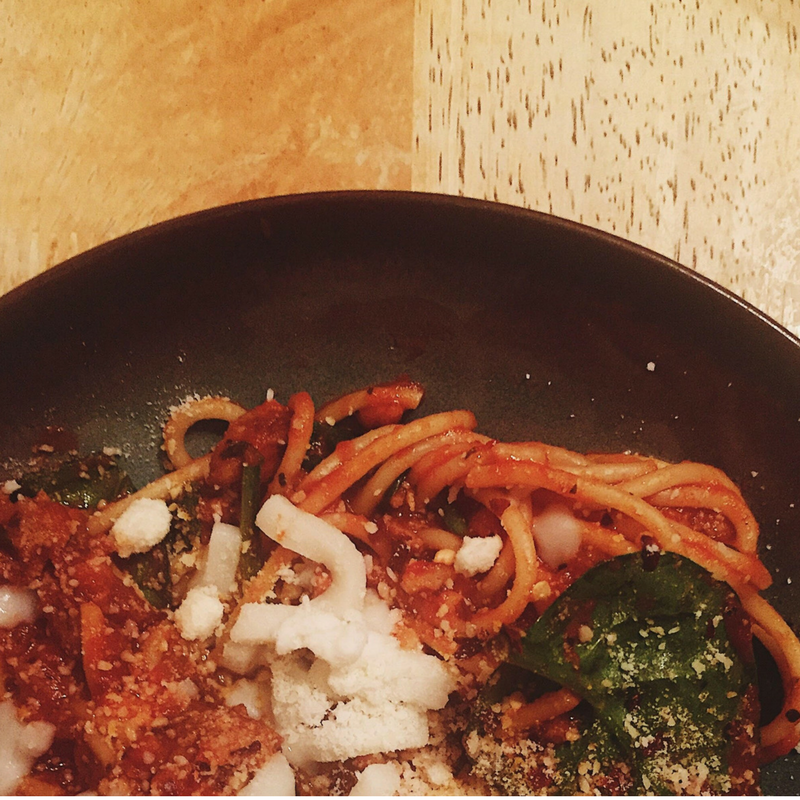 Finally, I garnished my spaghetti with a little bit of mozzarella and Parmesan. Nothing fancy. Just using ingredients that I had, to make something delish. What are some recipes that you create or make a variation of, when you’re limited on time? That looks so delicious- you’ve got my mouth watering over here!